Our executive experience ranges from Silicon Valley to Asia, the EU, UK, Scandinavia, the Middle East, and new areas of global innovation both large and small. We haven't seen everything, but we've seen enough to know what is key to business success in international markets, the types of investors needed and where to find them, what teams should understand and why if they are expanding globally, the importance of evaluating and managing operating risks, and how to coach, mentor, and recruit to achieve excellence. Angel investor with +15 years in building global angel groups, strategic planning, and moving companies to Series A – C investments. Extensive international business development experience, focusing on key regions such as Silicon Valley, the EU and Asia. MBA, angel investor, +25 years in executive level positions in finance, winner “Women in Private Equity” award. Experience in London, Paris, Berlin, Dublin private equity markets. Holds Board positions internationally. BA, angel investor, + 20 years in banking, corporate finance, M&A and accelerating startups in international markets. Experience in the Silicon Valley, Canadian, and the Middle Eastern markets. 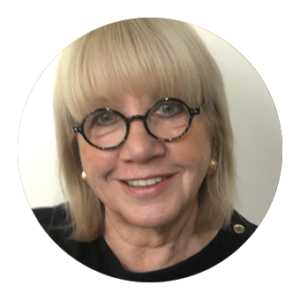 Prior to founding SAYJ Global Partners, Dr. Judith Iglehart was the Keiretsu Forum President for International Chapter Development and Operations for 14 years. She conceived and initiated international business development and marketing activities for Keiretsu, and developed and oversaw chapters in Paris, London, Spain (four chapters) China (three chapters) Istanbul, Tel Aviv, Central Canada (five chapters), India (four chapters), Singapore, Indonesia, Prague, Scandinavia, South Korea, Japan, and Dubai. Judi has lectured in the US, the UK, the EU, and China about business angel investing, in Latin America on Sustainable Cities, and has served as a judge for the IBM Smart Camp (Madrid), at Barcelona Activa, at the Sonar D Conference in Barcelona, at Menorca Millennials, at the CES in Las Vegas, at Microsoft, and at Keiretsu Forum events globally. Prior to joining Keiretsu Forum as an accredited business angel investor in 2004, Judi served as the Chief Research Development Officer at the University of California’s Discovery Grant program, the President/CEO of BARTA-Tech Ventures Network (a Silicon Valley program to identify and assist very early stage companies in northern California), and as Deputy Sr. Vice President for Business and Finance at the UC President’s Office. Previous positions include Chief of Staff to the California State Senate Majority Floor Leader, Director of State and Federal Relations and Special Assistant to the Chancellor, UC Berkeley, and Associate Director of the California Policy Seminar. She served for six years as a State Senate appointee on California Governor Arnold Schwarzenegger’s Small Business Advisory Board. Judi has a BA and an MJ from UC Berkeley, and an MA and EdD from Mills College, Oakland, CA. Her dissertation addressed technology transfer issues at UC between 1984-2000: Balancing the University of California’s academic mission with public and private research needs: technology transfer during The Peltason and Atkinson Presidencies. 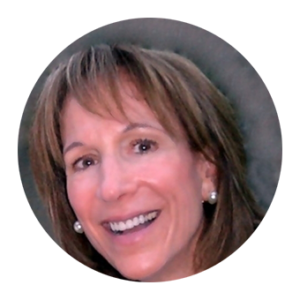 Shelley has been an active angel investor for over 10 years. She has also held senior and executive management positions in a variety of industries (consulting, food and beverage, paper manufacturing). Her primary concentration, however, has been in financial services where she focused on starting up and growing businesses, both within the US and overseas. Her specific financial services experience includes VP positions with Manufacturers Hanover Trust and Bank of America. At Charles Schwab & Co., Inc., she was SVP/Chief Administrative Officer for the Retail Division during a time of rapid growth. This position included responsibility for branch and call center expansion, finance, technology and customer service quality. Later as head of the Exchange Trading Division of Schwab Capital Markets, Shelley was responsible for all listed equity and options trading in the US and led an organization of over 250 people. She then moved on to be CEO of Schwab’s and TD Waterhouse’s joint venture in London. Shelley founded the Paris chapter of Keiretsu Forum, a global angel investing network, and is now President of both the Paris and London chapters. These groups have funded and supported companies from multiple countries within Europe. Shelley has held Director positions on the Boards of the Boston and Pacific Stock Exchanges, as well as advisory roles for pan-European financial services initiatives. She was also named a winner of the Women in Private Equity Award. Shelley has a BA from Warwick University (UK) and an MSc from University College London. She also has an MBA from Fordham University in New York. 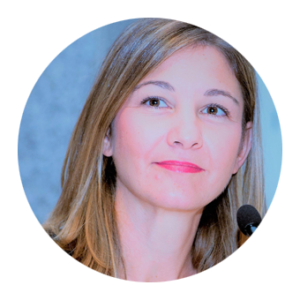 Asli has over 20 years of global experience working in companies such as Fidelity Investments, Canadian Imperial Bank of Commerce (CIBC), Grant Thornton, and San Francisco based angel investment firm Keiretsu Forum. Her expertise includes advising early stage capital raise, initiating strategic partnerships and managing investor relations, leading clients through the M&A process and providing thorough due diligence services across various industries. Among her accomplishments are managing the Corporate Finance division of consulting firm Grant Thornton in Istanbul, establishing and growing the largest global angel investment firm Keiretsu Forum to become the leading early stage investment venture within the MENAT region while successfully leading key global initiatives to increase cross border portfolio syndications across the firm’s +50 global offices. Along with being a co-founder at San Francisco based SAYJ Global Partners, Asli also brings her corporate finance expertise to a Toronto based global M&A / joint ventures platform, Headwayz, consulting their west coast business development initiatives. Asli is a graduate from Northeastern University in Boston with an International Business and Management degree and lives in San Francisco.